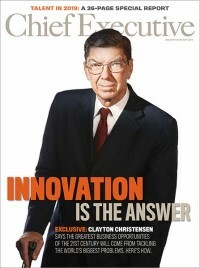 Most leaders know that their organization cannot survive without innovation. Yet few have identified the skills required for internal innovation. Jargon like “sprints” and “failing fast” have led many to wrongly associate innovation with Usain Bolt running down the homestretch at a blistering pace. Yet, this conflation does not account for the many obstacles in place between a good idea and a realized solution. Sprinters train to optimize their operations, but innovation is far messier. For this reason, we need to stop training sprinters and start training our innovators as ninja warriors instead. We need to build up their capabilities and preparing them to overcome the obstacles awaiting them on the innovation journey. When leaders ask, “how do I innovate within my organization?,” their answers often fall into one of two categories: 1) change the company culture, or 2) hire more creative people. This amounts to “remove the barriers from the track,” or “find faster sprinters.” While we see and understand the value in these responses, they require significant time and money, relegate innovation conversations to the C-Suite and HR department, and ultimately undermine the innovative potential that already exists within each and every person in your organization. We believe NBC’s “American Ninja Warrior” offers a better alternative that takes into account the unique challenges of each of our organizations and recognizes the potential of each of our employees. “American Ninja Warrior” is a televised competition that challenges contestants to overcome a series of difficult obstacles, competing against others for the best time. When Ninja Warriors begin the course, they accept the obstacles in their way and work hard to overcome them as quickly as possible. At the end of a run, contestants are ranked based on time and obstacles completed. While there is an element of speed required to keep up with the pace of innovation, “American Ninja Warrior” acknowledges that innovation requires specific skills and capabilities as well. “American Ninja Warrior” teaches us that innovation can happen anywhere and by anyone, but only if we know the obstacles in our way, identify the strengths required to overcome those obstacles, train accordingly, and build a team to supplement shortcomings. All companies have obstacles standing in the way of innovation—the ease or difficulty of the process is largely dependent on the ease or difficulty of these obstacles. At the beginning of every “American Ninja Warrior” episode, the commentators introduce the course. Every course includes standard elements that the ninja can expect, like the quintuple steps and the warped wall. Additionally, there are obstacles that are not prescribed and change based on the course. While each course has the same general categories of obstacle (e.g. “jolt,” “balance,” and “upper body”), the actual obstacles make one course more difficult or less difficult than another. Similarly, we know that each organization has obstacles in the way of innovation and the difficulty of innovation comes from the types of obstacles in place. Company culture and policies can make it particularly difficult or particularly easy to innovate, but innovation is possible in any context. Through our work in innovation consulting, we’ve identified consistent obstacles that internal innovation teams encounter. Depending on the company and the project, these obstacles may present themselves with varying difficulty. Innovation doesn’t require the same skills as traditional business expertise. Innovators need skills particularly suited for the obstacles in the way. Being a great athlete does not translate directly into success on “American Ninja Warrior.” Since its inception, more than 23 Olympians have participated in the show. Despite being top athletes, they rarely finish the course; and when they do, they are frequently towards the bottom of the list. Jonathan Horton is a two-time Olympian and one of the best still-rings competitors in the USA. Yet, in his first attempt at American Ninja Warrior, he fell on the ring-toss element (imagine using rings to try to go across monkey bars). Just because you are a great athlete does not mean you are a great ninja warrior. Similarly, being a subject matter expert or a fantastic business person doesn’t necessary mean you will be a good internal innovator. As we discussed, innovation at every company will be different based on the obstacles. As a result, innovators need to have strengths in these areas. You can have the best subject matter expert and still fail to innovate in an area if they are not prepared with the capabilities required. We’ve identified some of the critical strengths required for internal innovation below. Knowing the obstacles and the strengths required to overcome those obstacles, we can develop unique training to upskill our innovators. In fact, some of the greatest competitors from across seasons come from unlikely backgrounds. JJ Bynum and Paul Kasemir are software engineers by day, Jon Moravsky is a weatherman. Their rise to “American Ninja Warrior” status was a testament to hard work and training. Similarly, we’ve worked with clients to develop the skills needed to be successful in their innovation work. Having insight into the most difficult obstacles in your organization and preparing for them early will help to propel your ideas. To help with this process, we’ve identified critical questions that might be helpful in addressing these obstacles. · Adaptability · What metrics or indicators will let you know to persevere through criticism? · How will you know when customer feedback requires you to pivot? · Agility · How can you break your idea down into smaller, affordable, or even free tests? · How does this work integrate into your day job? Efficiency is everything. · Trust · What skills, interests, and ambitions do your colleagues have? Do they compliment yours? · Who is doing similar work? Can you work with them? · How can you protect and nurture other people’s ideas? · Metrics · How can you build a cheap proof of concept that shows meaningful outcomes? · How can you get feedback from users quickly and regularly? · What are your metrics for success? · Writing · What are the communication channels within your organization? · Who runs them and how do you get access? · What is the story that will most resonate with your colleagues? · Institutional Knowledge · What is your business case for your organization? · Why do you need extra money? · Where are there pockets of un-used money and how does your idea relate? · Relationship-building · What is your organizational strategy and how does your idea fit in? · Who are the decision makers in your organization and what are their priorities? · How does your project help them achieve their goals? · Political Savvy · What are the current company policies and procedures in the area of your idea? · Who are the decision-blockers in the firm and what motivates them? · How can you build your idea to circumvent their concerns? · Persistence · What legal decisions are relevant to your idea? · What restrictions do these regulations take place on your project? Knowing the capability gaps within your innovation team and filling those gaps with talented team members can help to accelerate an innovative project. Although “American Ninja Warrior” began as an individual competition, the producers recently inaugurated a new Team Ninja Warrior concept that adds a relay component to the traditional obstacle course. Instead of one person completing all the obstacles, a team of individuals work together to get through each of the obstacles. In this new version, you can start to have greater proficiency in a particular obstacle or strength, while working together with others to complete the course. Similarly, teams pursuing innovation require different capabilities to overcome the various obstacles in the company. These teams need to assign roles appropriately, communicate well, and hand off the baton at the appropriate times. While each is overcoming their own obstacles within the larger race, there are elements of interaction that are required for success. Innovation can happen anywhere and by anyone. Every company has its own obstacles – they are not insurmountable, but they do make it more difficult. You just need innovation ninjas who are willing to build the strengths needed, or open to pairing up with others to build a strong team to overcome these obstacles. Steve Dry and Hsiu Mei Wong are innovation experts at PA Consulting Group.